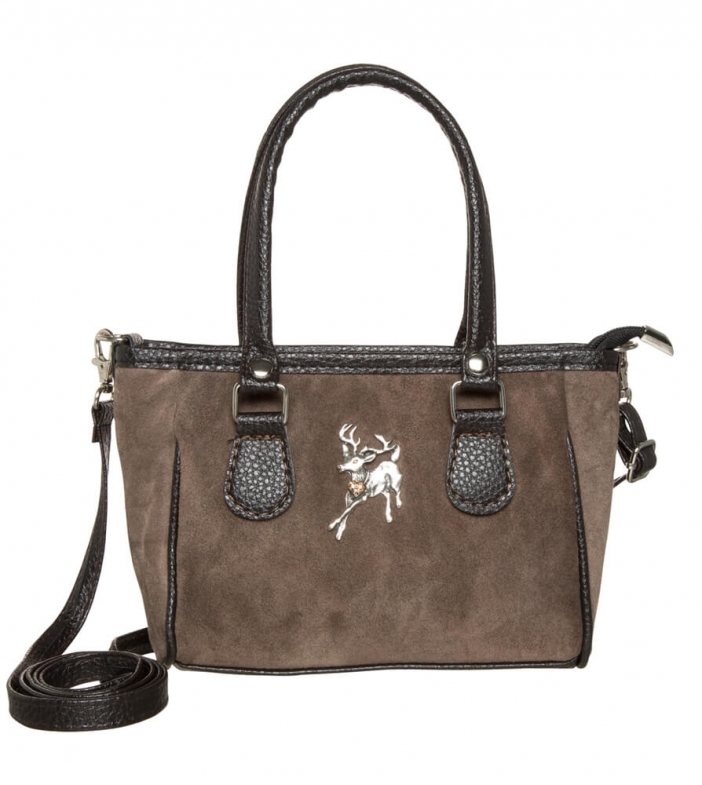 Trachten bag with metal stag appliqué. We know how long it takes to assemble a truly fabulous Oktoberfest outfit. But aren’t you missing something? This bag goes perfectly with any dirndl, Trachten shirt and traditional jacket – the innovative Schuhmacher label has made sure of that. The small bag will turn heads with its brown-black colour palette and its soft velour leather is embellished with grained leather-look details, giving it a sporty yet elegant appearance. Meanwhile, the metal stag appliqué offers an extra helping of extravagance. A small heart studded with shimmering gemstones is the super-sweet cherry on the top of this bag. Inside, there’s more than enough room for all essentials. Thanks to the attached crossover strap, this clutch can also be worn as a cool shoulder bag. And if you’re going out for the night, or planning on a party, there’s no need to worry – there’s even a little compartment with a zip fastener to protect your phone for the evening.